Global contractor Multiplex has been appointed by Victoria Racing Club (VRC) to deliver the new state-of-the-art Club Stand at Flemington Racecourse, valued at $128 million as a total project development. 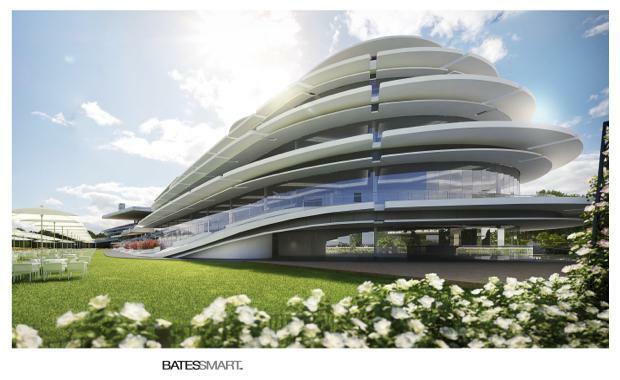 Designed by Bates Smart Architects, the new five-level club stand represents the tenth grandstand to be built at Flemington since 1865. “We are delighted to be part of this exciting new project at Flemington," Multiplex Regional Managing Director Graham Cottam said. "The new Club Stand is world-class and will deliver a completely new experience for racing patrons." The Club Stand has been designed to celebrate the rich history and character of Flemington Racecourse. It will offer sweeping 360 degree views of the mounting yard, race track, members lawn, parade ring, betting ring and winning post. An external walkway on the first floor will wrap around the club stand and connect to the existing members stand and parade ring. A new north-south corridor will form the heart of the new club stand and will also link the betting ring with the members lawn and mounting yard. 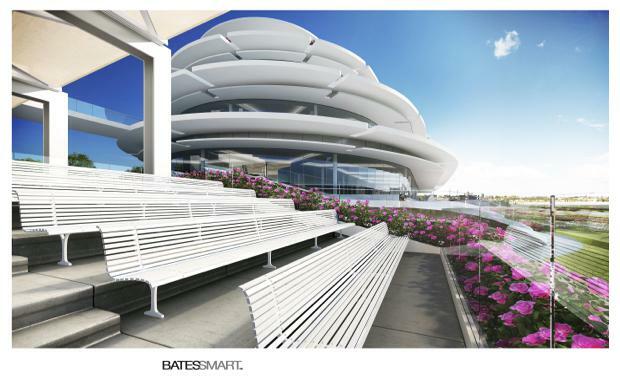 The members lawn will also be enlarged as part of the project and seamlessly linked to function spaces on level one by a grand sloping tier of seating encompassing viewing platforms and gardens. On level five, a rooftop garden will offer landscaped areas with open and enclosed spaces beneath canopies, a signature design element of the club stand’s architecture. Construction of the new club stand is set to commence after the 2016 Melbourne Cup carnival and completion is scheduled for before the 2018 Melbourne Cup. The project will create an estimated 350 jobs during its construction. The appointment of Multiplex for this project can be attributed to their experience in the industry, having already delivered entertainment facilities including the successful redevelopment of Randwick Racecourse for Australian Turf Club in 2013.